Russia, and to a lesser extent Turkey, have increased their efforts to destabilize the European Union’s “inner courtyard” of Albania, Bosnia and Herzegovina, Macedonia, Kosovo, Montenegro, and Serbia. 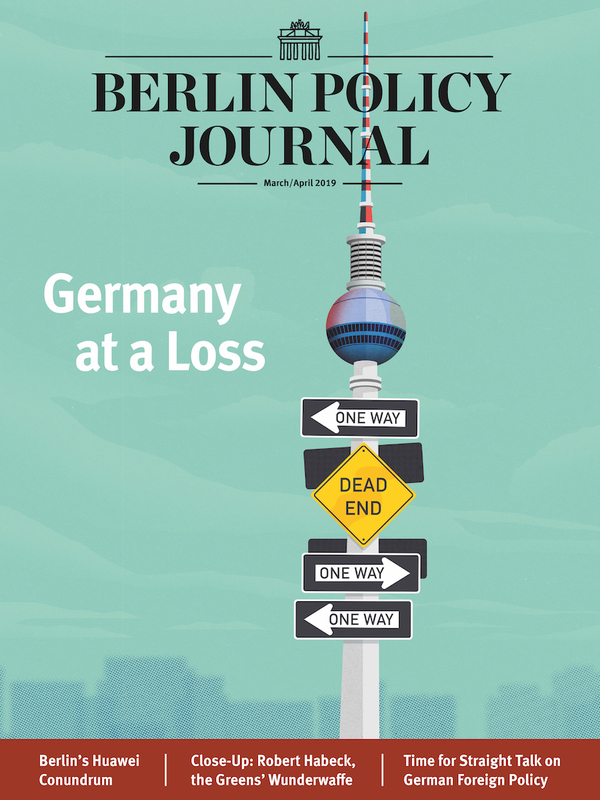 Brussels – and Berlin – urgently need to reengage. After an extended absence, the Western Balkans finally returned to the European agenda at the March 9 EU summit. Traditionally, the region is discussed primarily in terms of its slow progress toward EU accession. This time, however, geopolitical and ethnic tensions are raising alarms about the stability of Europe’s “inner courtyard.” As the region grapples with new sources of instability, Serbia will be electing a president on April 2 – and though polls predict a smooth victory for Aleksandar Vucic, it could be a watershed event for the whole region. European Council President Donald Tusk warned that some of the ethnic divisions in the region have been exacerbated by destabilizing external influences, a veiled reference to Russia, which has been waging wider disinformation campaigns in Serbia and elsewhere. Tusk also called for EU institutions to take more action. EU foreign policy chief Federica Mogherini, meanwhile, reported on her recent tour of all six Western Balkan countries, undertaken to reassure the region it had not been forgotten. She returned with “profound concerns” about destabilizing external factors. “The Balkans can easily become one of the chessboards where the big power game can be played,” Mogherini said. These warnings were echoed by the chairman of the European parliament’s foreign affairs committee, David McAllister, who thinks that the EU must be much more visible and engaged in Balkan countries to counter Russian attempts to destabilize them even further. It was a timely wake-up call for Brussels and Berlin, which have been preoccupied by other pressing issues. “The 21st century in the Balkans is starting to look dangerously like 19th,” Ivan Krastev observed in the Financial Times. However, he noted one important difference. In the 19th century, Russia and Turkey were rivals in the struggle for regional influence, while Germany, Austria-Hungary, and Britain played Russo-Turkish divisions to their commercial and political advantage. Today it is the other way around: Moscow and Ankara are united in their efforts to reduce the EU’s influence. Both Moscow and Ankara are thought to be weaponizing renewed Balkan ethnic tensions to play them against the West. So far, Turkish efforts have been subtler and less disruptive, but that is beginning to change. In addition to promoting historic ties and Ottoman cultural heritage throughout the region, Ankara has recently moved into the business of funding (and perhaps also organizing) new political movements among Muslim minorities in several Balkan countries to create its own “zone of influence”. One example is the new anti-establishment ethnic Albanian party Besa in Macedonia, which inflicted heavy losses on traditional Albanian parties in the December 2016 elections. However, Russia stands out as the most systematic, disruptive and dangerous external factor, and its behavior has raised multiple alarms over the last few months. The real game changer was an attempted coup in Montenegro during parliamentary elections in October 2016. A group of Serbian ultra-nationalists and paramilitaries fresh from fighting in the Donbass was prepared to storm the parliament, cause riots on the streets of Podgorica, and help the pro-Russian, mostly ethnically Serb opposition seize power. This would have meant a dramatic turn in Montenegro’s foreign policy, halting its accession to NATO and withdrawing its recognition of Kosovo’s independence, with huge repercussions within the region. In February 2017, a special prosecutor in Podgorica overseeing the investigation accused “organs of the Russian state” of taking an active part in the attempted coup. Pro-Russian opposition parties still bitterly contest the entire claim, as well as the implication that two of its leaders were in contact with the perpetrators. The result is a political stalemate in the country – the opposition is boycotting the new parliament. There is hope, however, that things will calm down since the US senate ratified Montenegro’s NATO membership with a nearly unanimous vote on March 28, sending a strong signal of continuity. Still, of more immediate concern is the deep, prolonged constitutional crisis gripping Macedonia, now the most explosive Balkan country. Macedonia’s troubles have been simmering ever since its EU and NATO candidacies were put on hold due to a dispute with Greece over the country’s name, Moscow was not very active there until last year, when the Russian Foreign Ministry began issuing regular statements on Macedonia. Pro-Kremlin media began to focus on the country, too, and the Russian embassy in Skopje significantly increased its staff. Moscow now openly supports the weakened autocrat Nikola Gruevski, who is trying to remain in power no matter what. It is also challenging coordinated EU-US efforts to find a peaceful, negotiated way to transfer power to a diverse coalition of democratic parties, which pledged to further enhance the status of Macedonia’s large Albanian minority. At critical moments, when Gruevski called for protests on the streets of Skopje, Moscow poured oil on the fire by accusing the EU of trying to create a Greater Albania, and promoted this narrative through its media network across the Balkans. And as part of a long-term game in Bosnia and Herzegovina, Russia is backing another controversial strongman: Milorad Dodik, the nationalist president of the Bosnian Serb Republika Srpska (RS). Dodik is again pushing for a referendum on RS independence, which would alter the Dayton peace agreement – another keystone of the Western liberal order in the region built after the ethnic wars of the 1990s. This return of geopolitics has in turn benefited Balkan autocrats, according to the latest policy brief by the Balkans in Europe Policy Advisory Group (BiEPAG). It has allowed them to pander to various geopolitical players and investors, expanding their own informal power structures, patronage networks, and control of the media at home. In this context, as stability is given priority over democracy, Balkan strongmen have become even stronger, less accountable, and more contemptuous of democratic standards. 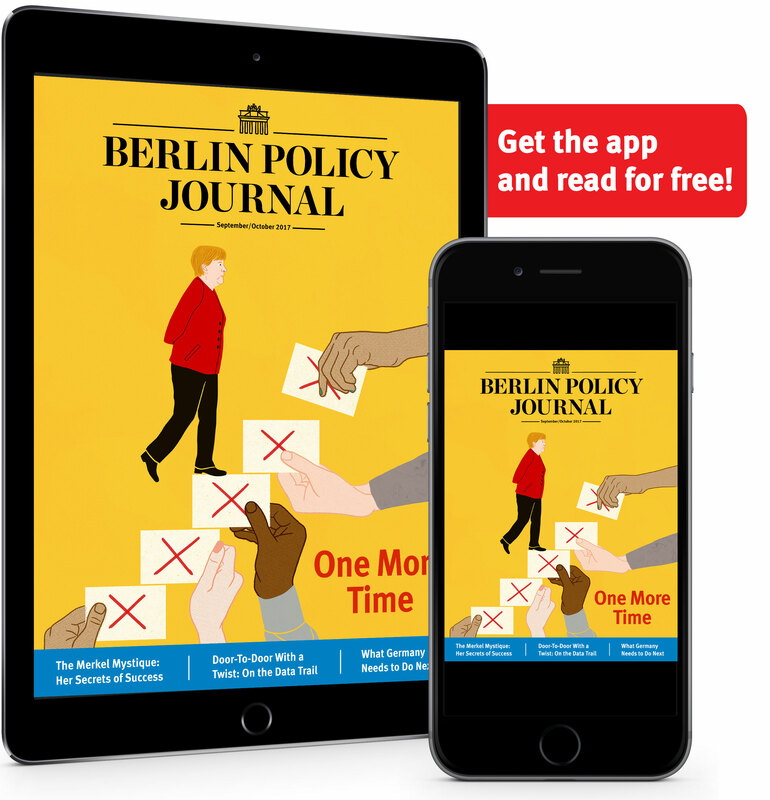 The result of this new paradox – with countries moving closer to the EU but further away from democracy and the rule of law – is growing dissatisfaction among citizens, accompanied by a loss of trust in the EU and further alienation from domestic politics. Nowhere is this seeming contradiction more clearly displayed than in Serbia, the largest Balkan country and the lynch pin of stability for the whole region. While current president Tomislav Nikolic is a key Russian ally in Belgrade, Prime Minister Vucic represents a younger, pragmatic, and less Moscow-friendly generation in Serbian politics – but not necessarily a shift toward European values. The recent events in Montenegro apparently spurred Vucic to action: In February, following a long period of rumors and speculation, he announced his decision to run in the upcoming presidential elections, and arranged to move the date up to April 2. Vucic has come a long way since joining the ultra-nationalist Serbian Radical Party (SRS), headed by the notorious Vojislav Seselj, serving as its minister of information during the Milosevic era. A decade later, in 2008, Vucic followed Nikolic, resigning from the SRS over its resistance to Serbia’s EU integration and switching to the latter’s new Serbian Progressive Party (SNS). SNS subscribed to the pro-EU, pro-Western course that has since dominated Belgrade’s geostrategic orientation since the end of the Milosevic regime. In 2012, when Nikolic became president, Vucic took over the SNS party and led it to form the next government. He became popular for his vigorous drive against corruption, which resulted in several high-profile investigations and arrests, including that of the country’s main oligarch. He also focused on starting EU membership talks and did not shy away from the tough decisions they required. In particular, he proved to be more willing to compromise on Kosovo than the pro-EU liberals before him. In economic policy, he helped the country manage its public debt, which is now under 70 percent of GDP. He also pledged to increase pensions, privatize state companies, and expand the private sector, though so far that has been more talk than action. In the meantime, his governing style has also become increasingly authoritarian, in tune with his shady control of the country’s tabloid media. Despite the fact that Serbia’s opposition has never been weaker or more fragmented, Vucic now presents himself as a lone fighter against a united front of traitors and crooks, financed by Serbia’s enemies. He is the undisputed front-runner in the presidential election; the only open question is whether he will be forced into a run-off or win an outright majority in the first round. Forcing Vucic into a second round would be a healthy development for Serbia’s embattled democracy, opening more space for liberal opposition and alternative political actors, including authentic anti-corruption social movements that now target and mock Vucic himself. To keep his power base in Belgrade intact, Vucic needs to win a convincing victory. In order to mobilize his nationalist core constituency, he even traveled to Moscow on March 27 for a photo opportunity with Russian President Vladimir Putin. In a delicate balancing act which went unreported in domestic media, his minister of defense, Zoran Djordjevic, called for joint Serbian-US military exercises. 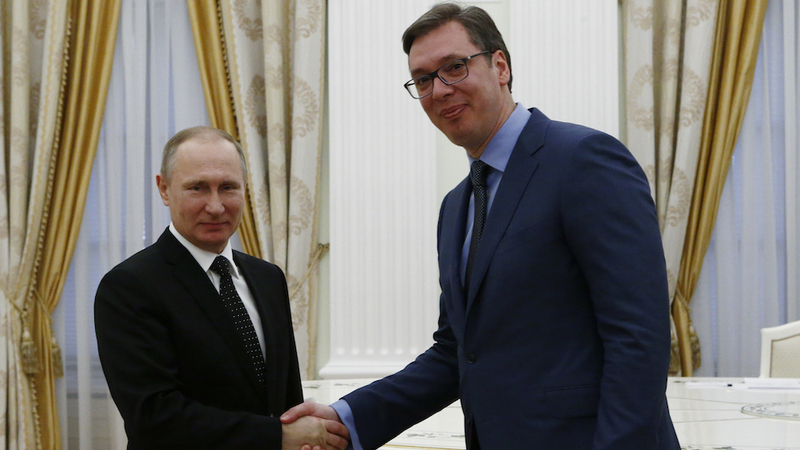 This comes on top of another development: so far, Vucic has refused to grant personnel at the joint Russian-Serbian humanitarian center in Niš diplomatic status. Insiders say that such move would turn it into a Russian spy outpost for the whole region. In spite of these setbacks, Russian influence in Serbia is greater than in any other Balkan country. On top of historic ties between the two Slavic and Eastern Orthodox nations, Moscow has been able to play on Serbia’s national sentiment as a humiliated regional power that was forced to accept the Pax Americana. Belgrade lost a series of brutal wars after the break-up of Yugoslavia, and was bombed by NATO during the war over Kosovo (1999). Revisionist, anti-Western rhetoric has thus been very popular in Serbian politics and media. And Moscow skillfully played this card a decade ago to privatize part of Serbia’s energy industry, which is now owned by Gazprom. Since then, the Kremlin has established a significant presence in the country’s disgruntled media. The local branch of Sputnik, established three years ago, has become the leading news agency in the country, and about 20 other media outlets spread distinctly Russian spin on domestic and foreign developments. So, what should the EU do? First, it should build up on the momentum from the last few weeks to demonstrate more attention and reassurance. Several EU foreign ministers could work together on a series of high-profile visits to the region. This might be a good opportunity for new German Foreign Minister Sigmar Gabriel to provide some leadership and initiative for Europe’s political re-engagement in the Balkans. The status quo there is no longer sustainable, and carries considerable risks. EU foreign policy chief Mogherini and her European External Action Services (EEAS) should be given a new mandate to expand their work in the Balkans, now limited only to Bosnia and the Serbia-Kosovo dialogue. Other dangerous situations, like the one in Macedonia, have become urgent security challenges and cannot be left to the EU Commission’s technocratic approach alone. Instead of playing geopolitics with Balkan leaders, EU Enlargement Commissioner Hahn should return to his task of helping candidate countries prepare for EU membership. He could also improve the way EU funding and other support is promoted among Balkan societies and counter widespread perceptions that Russia is doing more for them. Once Brussels get its act together, Berlin and a few other EU capitals that still pay attention to the region (a diminishing number!) could reach out to Washington to come up with joint transatlantic effort to calm the Balkan waters. This is a good moment to engage with the new US administration to support a vital interest of Europe’s, one that is closely related to the future of NATO and also fits into American global strategy. The belated wake-up call at the EU summit a few weeks ago was a reminder that the fates of Europe, NATO, and the Balkans are inextricably tied together. If it is followed by diplomatic action and sustained political engagement, not everything about the EU will look so gloomy in 2017.